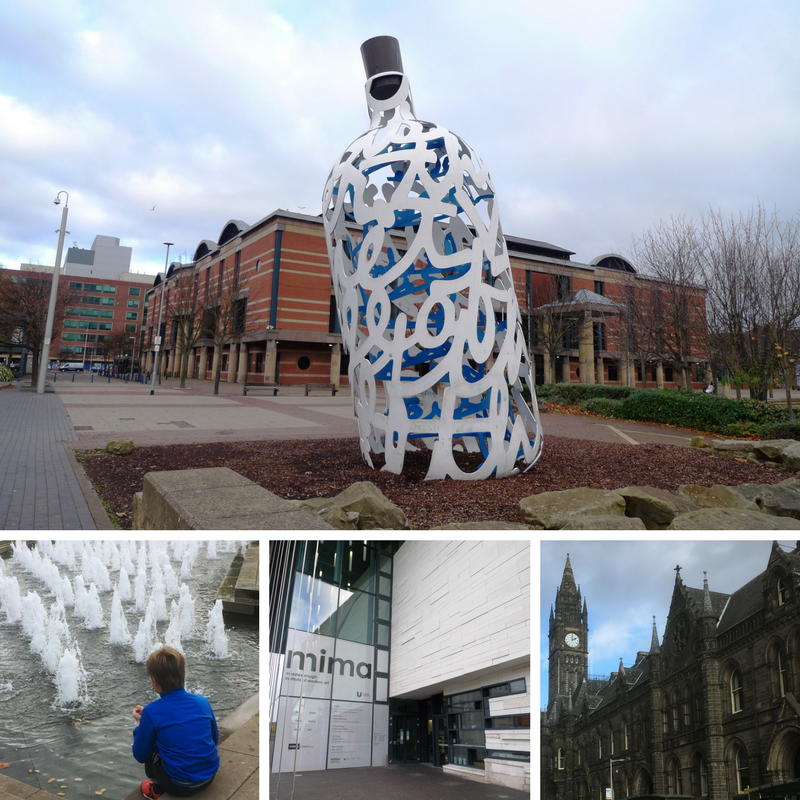 A few weeks ago we headed south to Middlesbrough to experience some new food. And no it wasn’t a Parmo. 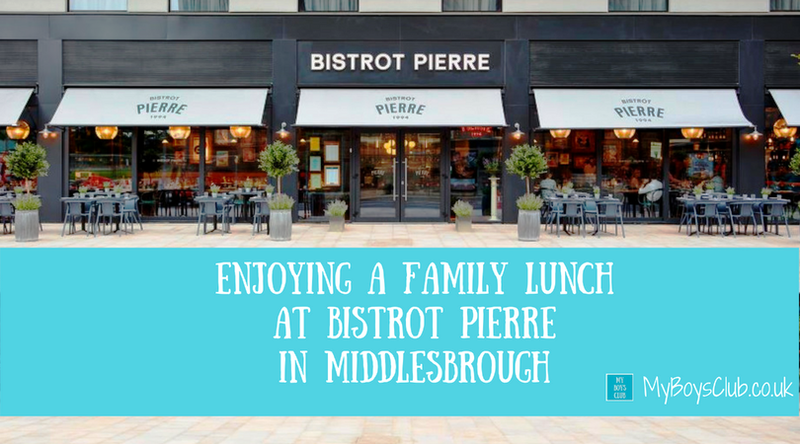 It was for a family lunch at the newly opened Bistrot Pierre Restaurant in the heart of Middlesbrough. We had been invited to review the restaurant which opened in September. 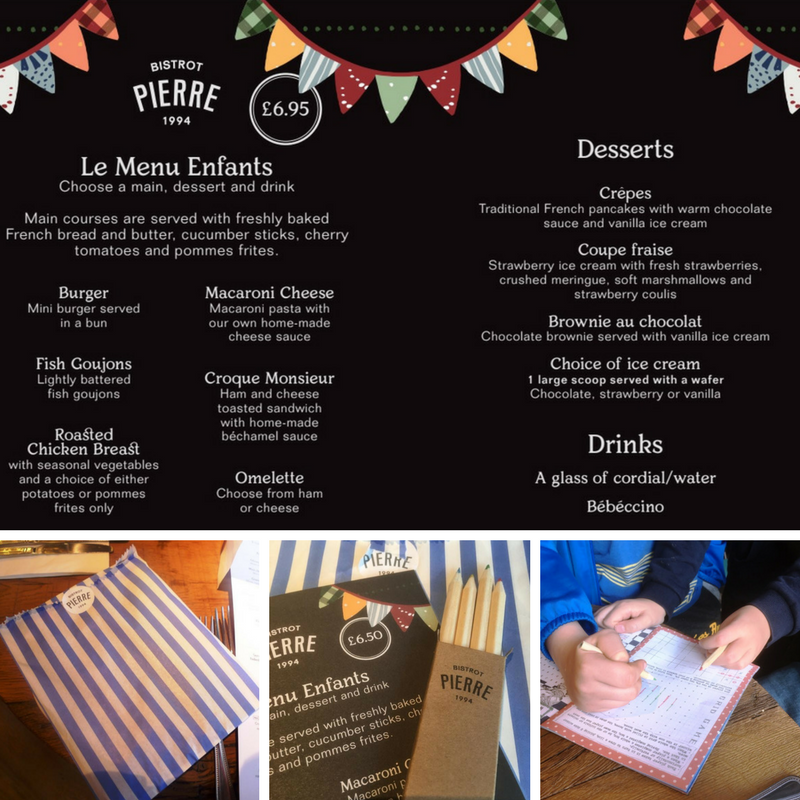 Bistrot Pierre is a restaurant chain that serves great value, seasonal Anglo-French dishes which are freshly prepared using carefully sourced ingredients from local producers and artisan French producers and suppliers, in a relaxed and friendly bistro style. The bistrots can currently be found in 24 locations all around Britain. From bustling cities and market towns to bistrots by the sea, each is styled a little differently, but all are equally as charming. The decor in the Middlesbrough bistrot is beautiful. 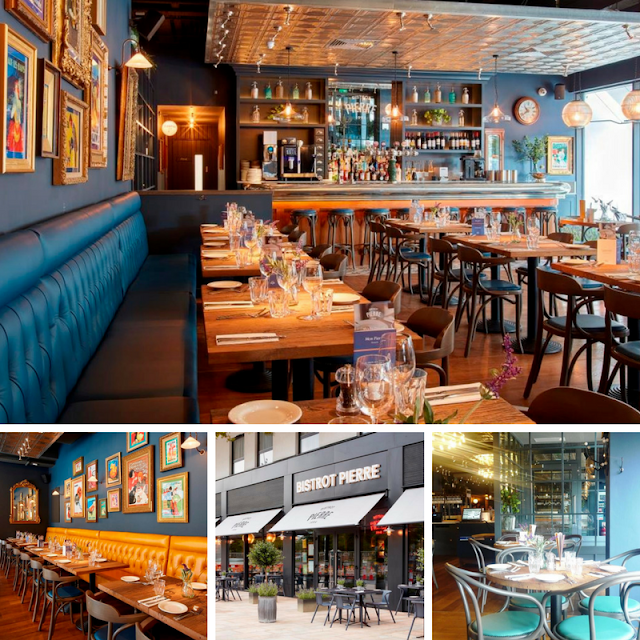 I haven’t been to another Bistrot Pierre so I don’t know how similar they are, but both the exterior and interior of this bistro are both so stylish. It really stands out, was very comfortable for a family lunch but I'd be equally happy dining their on an evening as a couple, and it is also really memorable. This one has a great location in Middlesbrough too. On Albert Road, it's opposite MIMA, the Bottle of Notes, the Town Hall, the Centre Square with fountains, the library and on the outside of the Cleveland Shopping Centre. We visited on a Sunday when there is also ample of on-road free parking available in the city. We were visiting to try out the Prix Fixe Lunch Menu. This is a special menu from which you can choose one course for £9.95, two courses for £11.95, and three courses for £13.95. It also comes with complimentary freshly baked French bread and butter, and all mains courses are served with a selection of seasonal vegetables and potatoes, salad or pommes frites. The only problem we had was choosing what to have! As a big fan of garlic mushrooms hubby opted for the Brioche et champignons. This starter is toasted brioche with fricassée of mushrooms which comes with or without Alsace bacon. He had the version without bacon and it was creamy, tasty and delicious. The boys loved dipping bread into it too. I went for the Brie d’Auvergne. This is mild, creamy baked brie from Auvergne with rosemary, served with lightly spiced pear chutney and sourdough toast. I love brie, and even more so when it baked and this dish didn’t disappoint. It has got to be one of the loveliest cheese on toast dishes I’ve ever had. My main course was a Forestière Tartes Flambées. This is a French-style pizza from Alsace, topped with Forest mushrooms, Emmental and Parmesan and was served with salad or pommes frites. I chose the salad, which was crisp and fresh. Before now I didn’t even realise there was such a thing as a French-style pizza. It had more of a pastry base than a dough base and was so tasty. I’d definitely have this again. Hubby went for the Gratin Méditerranéen. This is a vegetarian dish with Ricotta and spinach “veggie-balls” baked in a rich tomato and béchamel sauce. Similar to a cannelloni dish but without the pasta. This was delicious and also served with pomme frites too. I’m going to try making my own version of this dish at home. I’ve also go to say that the ketchup bowl was so cute! With three courses on offer for just £13.95, we were easily persuaded to try a dessert. Hubby went for the Gâteau au caramel, which is sticky toffee pudding served with vanilla ice cream. That sounded a bit too filling for me so I opted for the traditional French crêpes with a mixed berry compôte and vanilla ice cream. We were both really happy with our choices and both desserts were the perfect way to finish off a meal. The boys picked from ‘Le Menu Enfants’. This arrives in a blue and white stripy paper bag. It looks great and inside children find their own menu, a 14-page activity pack and a box of pencils. The activity pack was great and included dot-to-dots, pages to draw on, French phrases, word searches grid games, French facts, and spot the difference puzzles. Certainly enough to keep children happy and occupied whilst waiting for their food. The children's menu includes a main, dessert and a drink for £6.50. And they are also served French bread and butter, cucumber sticks, cherry tomatoes and pomme frites with their choice of main. The boys picked a burger and fish Goujons and ate everything on their plates And although we had ordered starters we were asked if we’d like the boys’ meals to arrive with our starters. We did – not that it stopped them wanting to try our starters and mains too – and they liked them all too. It’s a nice touch and to me shows that they understand family dining, and how to make eating out with a family go as smooth as possible. There was a choice of three desserts on the Le Menu Enfants but they opted for the same one, the Coupe Fraise. This was strawberry ice cream with fresh strawberries, crushed meringue, soft marshmallows and strawberry coulis. My eldest described it as the best pudding ever! There is no higher praise. Our meals were complimentary but if we had paid then the food bill would have come to £40.90 plus drinks for the adults. We had only coffees so in total our family three-course lunch would have cost less than £50 for four people. I think that is really reasonable especially considering the quality of food we enjoyed. The service throughout was also impeccable - informal, friendly and informative, just how it should be. Middlesbrough is about an hour’s drive from our home in Newcastle and it is pretty much the border between North Yorkshire and North East England. 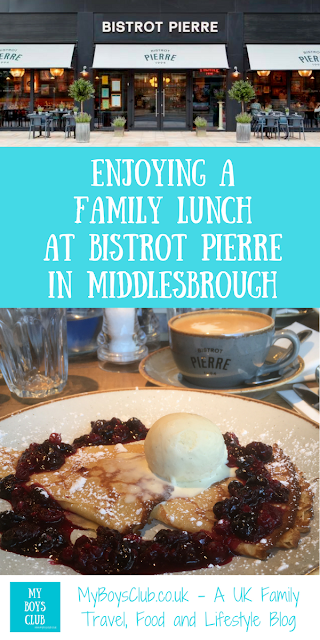 However, it is not to far a drive down the A19 and it as makes a nice alternative for a lovely family day out - and a visit to Bistrot Pierre is well worth the drive. As well as Middlesbrough being right in the 'middle' of Teesside and the wider Tees Valley, the city’s industrial skyline - the "Teesside Lights" - was the inspiration for Ridley Scott's Bladerunner, who was born in nearby North Shields. 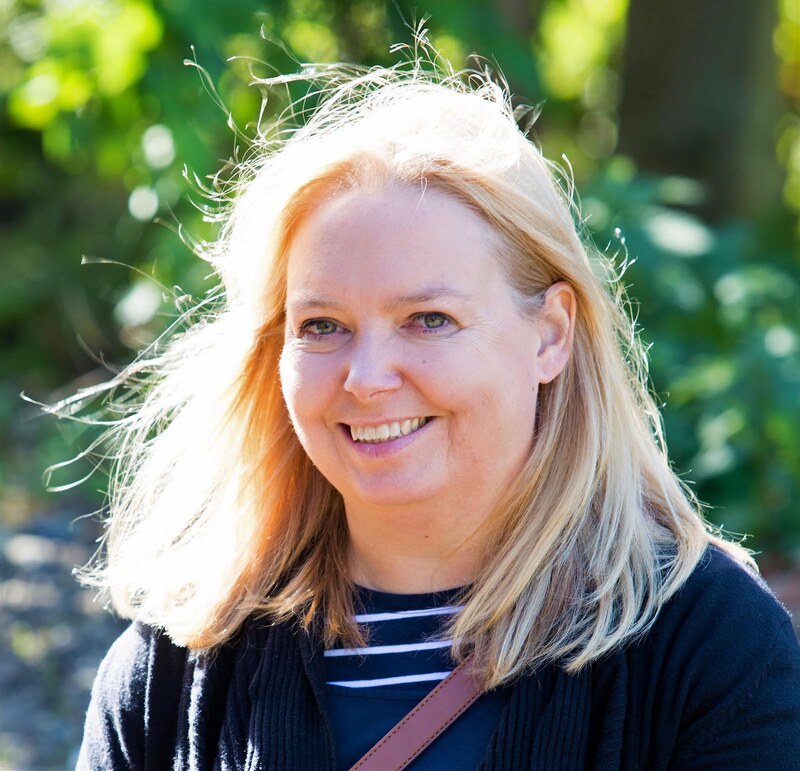 There is also lots to do nearby too from MIMA, Captain Cook Birthplace Museum, shopping, the Durham Heritage Coastline, RSPB Saltholme, and Preston Park which is where we went on this day to make the most of the beautiful autumn sunshine. Disclosure: We received complimentary food and drink for a family of four in return for an honest review. Looks delicious. Love your food photos. We enjoy visiting restaurants that are common to an area while traveling as it looks like you do too. Your pictures are excellent and the stories keep us very interested as readers. Thank you for sharing your journeys. Happy travel and Happy Holidays to you all.